Students and staff perform school haka. Bishop Viard College’s long awaited event centre and gymnasium was officially opened and blessed by Cardinal John Dew on 2 May. 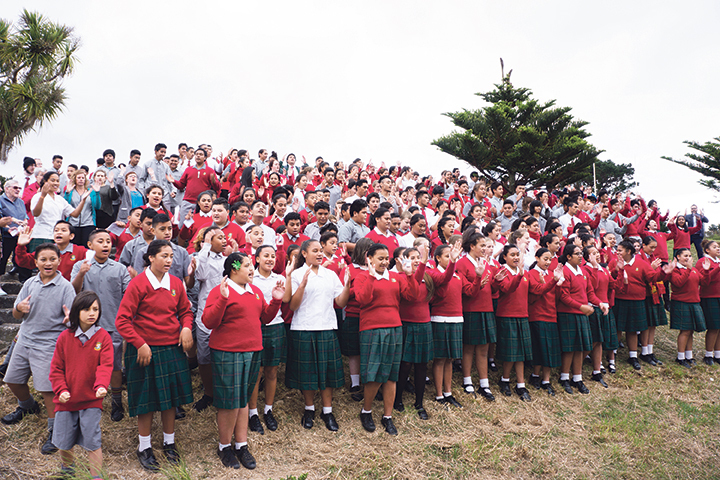 The Porirua Catholic college caters for around 350 students from a wealth of cultures and diversity. 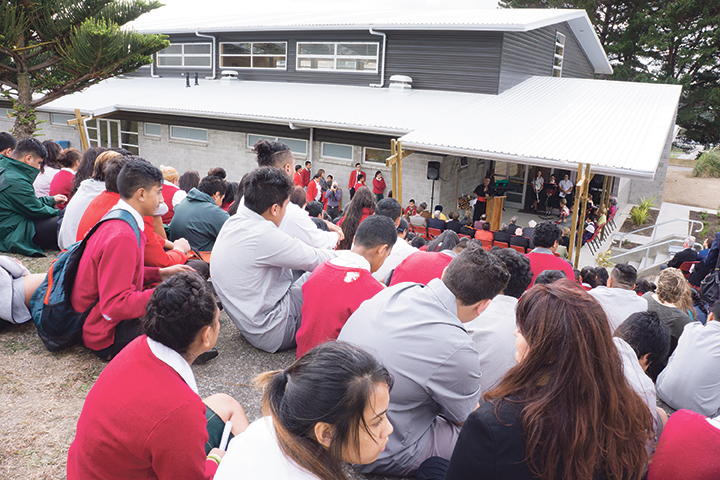 A powhiri welcomed local Catholic schools, local priests, the Board of Trustees, staff, students, guests and visitors onto the site. 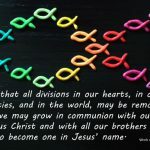 Students provided music, singing and led the readings. 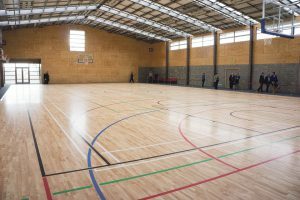 ‘The new gymnasium has been some 20 years in the making so the college community is very excited to see it has now become a reality,’ said Principal Rose Sawaya. ‘You students are supported by a generous and committed community and the dedication of an experienced and able staff, led by Principal Rose Sawaya and Board under David Wootton,’ Cardinal John said. 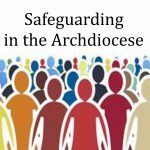 Bishop Viard College was founded by Cardinal Peter McKeefry and established in 1968 by the Assumption Fathers and the Brigidine Sisters. In 1975 it became a single co-educational college. It is the only co-educational Catholic Secondary College in the wider Wellington area and it continues to serve the areas of Tawa, Porirua, Titahi Bay, Plimmerton and the Kapiti Coast. 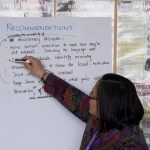 It provides a vibrant faith community, a caring pastoral environment, a rich cultural mix of talented students who are challenged and supported to achieve their personal best, a great foundation for their whole lives. Students watch opening and blessing. 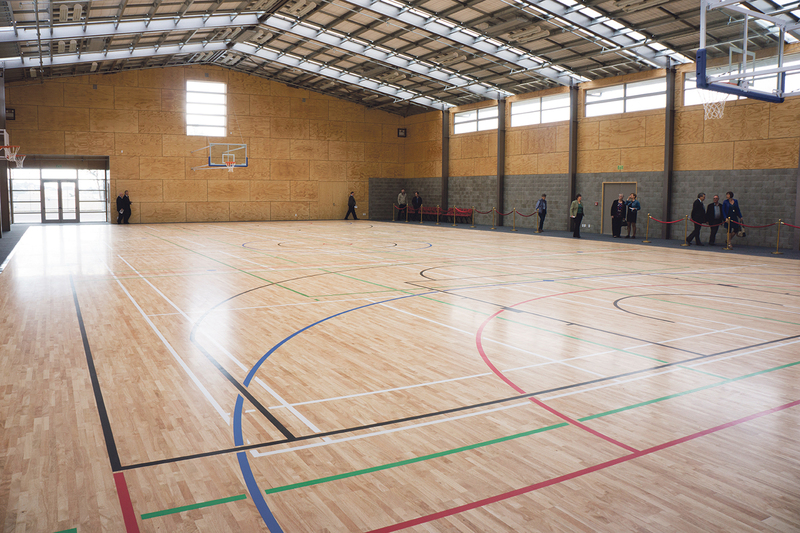 New gym and event centre interior. 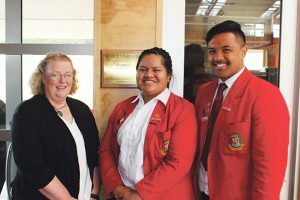 Principal Rose Sawaya with Head Girl Laumua Laufaleo and Head Boy Dorian Tato. 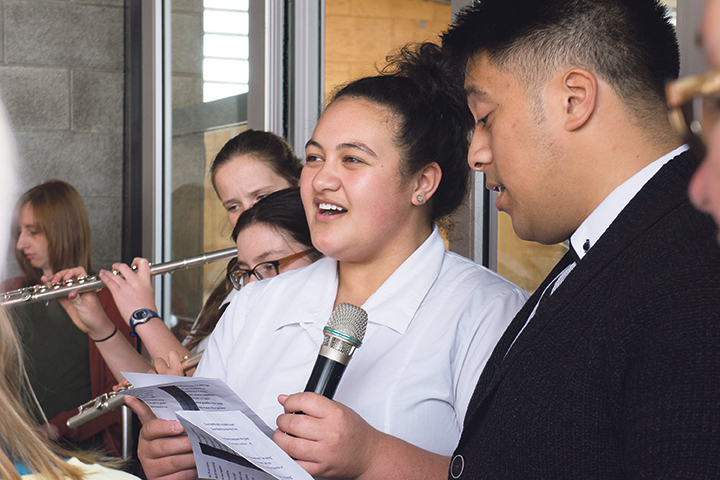 Students Doejah Tairea and Chad Va perform at opening.